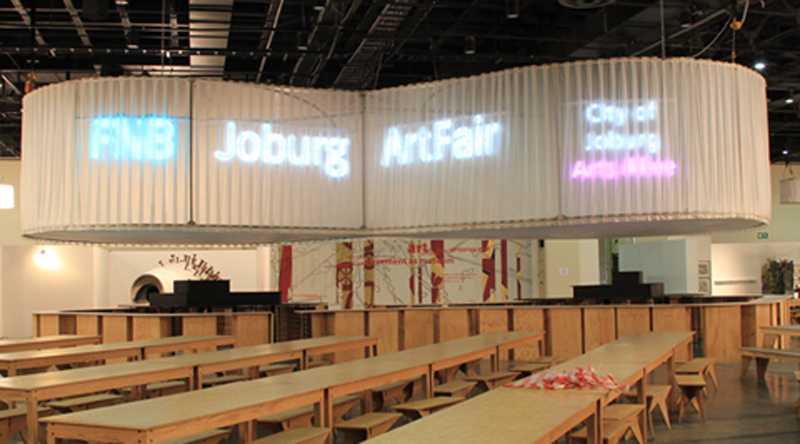 A bar for the FNB Art Fair, 2012. At all previous Art Fairs the queue for drinks was untenable. Here, a giant lampshade lights up a figure of 8 racetrack bar. Perimeter is long, and drinks are fast. 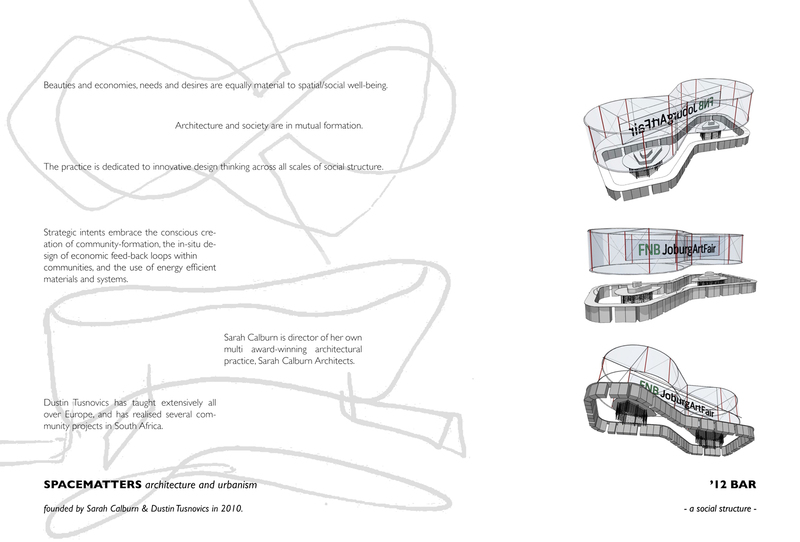 The original design would have liked to house a projection artist upstairs inside the ‘shade’. Old fashioned airplane stairs were envisaged. The first floor was not to be.